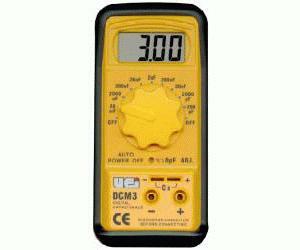 The DCM3 Digital Capacitance Meter offers solid value in an industrial quality meter. The wide range of inputs allows testing from the smallest electronic components to large run/start capacitors. The rugged design with protective boot and auto power off function keep your meter working under the toughest work conditions.